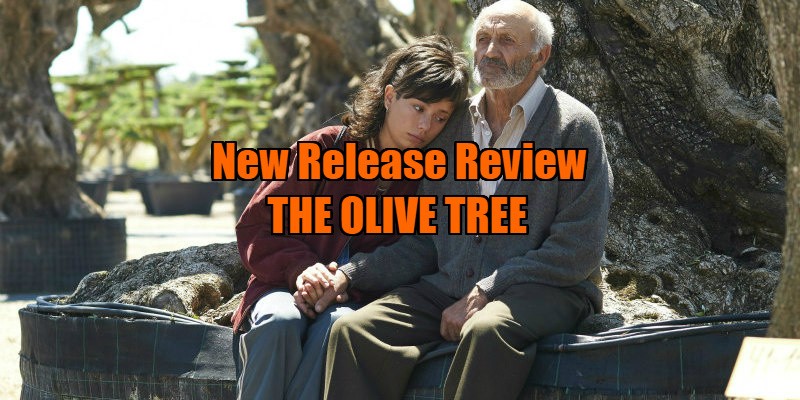 A young Spanish woman embarks on a quest to return an olive tree from Germany to her sickly grandfather. Throughout different cultures, the figure of the tree has persistently enjoyed a symbolic and mythic relevance. The very fruits we subsided upon grew from trees, while their oaken trunks provided the raw, woody material necessary for homes, transport and tools. In Classical literature, trees are a haven, with various warriors resting and finding respite from battle beneath their shaded branches: the marital bed of Odysseus is even fashioned from a living olive tree! Trees are further recognised for their benevolence in children’s literature, with characters like Winnie the Pooh reaping topiary rewards by scooping honey from bark, and The Giving Tree literalising this philanthropic dynamic. However, the tree is privy to darker significance also, with the Grimm brothers swelling lofty perennials for their sinister forests, the antagonistic anthropomorphism of The Little Prince’s baobabs, and, of course, in Christian paradigms, it is a tree that produces mankind’s fatal knowledge. As trees reach their spindly branches to the heavens, their dank roots likewise thrust further into the deep soil below; a living metaphor for human existence, where we at once grow and flourish while also developing a deep history of memory and experience. It is no wonder, then, that the central characters of Spain’s rather lovely The Olive Tree experience such existential seller’s regret after auctioning off the family farm’s prize olive tree, selling it due to their insurmountable money problems. When she was a girl, tomboyish Alma (Anna Castillo) climbed the tree and made stories up with her grandfather Ramón (Manuel Cucala), the two generations inspired by the evocative whorls that surfaced the magnificent tree. That was then though, and now, 12 years later, Alma is on the edge, both of adulthood and civility. She spends her evenings partying and having it off with strangers (causing much consternation from admirer-from-afar Rafa - Pep Ambròs), while in the day gives unwelcome visitors to the farm an egging, and, as a visual indicator of her idiosyncrasy, has the most incredible hair in cinema so far this year. The Olive Tree was shortlisted as the Spanish submission for the Best Foreign Language Film at the Oscars: it didn’t make the final cut, but that’s only because there is no academy award for Best Hair Style, and, if there was, Alma’s tramlined-undercut-mullet-with-bangs would have swept it. As Alma rails against the boredom of her surroundings, poor Ramón is broken though: wandering the olive groves catatonically, not speaking but hopeful that one day he will once again witness his bygone, beloved olive tree. Following this early elegant invocation of Spanish village life, The Olive Tree becomes a road movie, with Alma, Rafa and her dyspeptic uncle travelling across Europe in a purloined truck, ostensibly to retrieve the tree before Ramón kicks the bucket. The tree is now the centrepiece of a massive evil corporation’s foyer, locked behind the reinforced glass and steel of a skyscraper somewhere in Dusseldorf. Director Iciar Bollain contrasts the bucolic calm of the countryside - all wide angles of terracotta dirt and the silver confetti of olive groves - with the urgency of city life, depicted through hurried close ups of disapproving faces and aloof modernity. Although the film’s manifest charms just about carry it through, it is during the second act’s journey that The Olive Tree loses its way a little, with the generic soul searching mechanisms of the road movie slowing down narrative pace, along with one too many picturesque sequences of the truck (with a stolen facsimile of the Statue of Liberty on the back - don’t ask) making its way across trans-European highways. "You start the journey and people will help you along the way," states the optimistic Alma, and, sure enough, a group of female Skyping activists heart-warmingly band together to help our ragbag team, and reinforce the film’s ideologies of community and co-operation, culminating in a finale that is both moving and narratively satisfying. 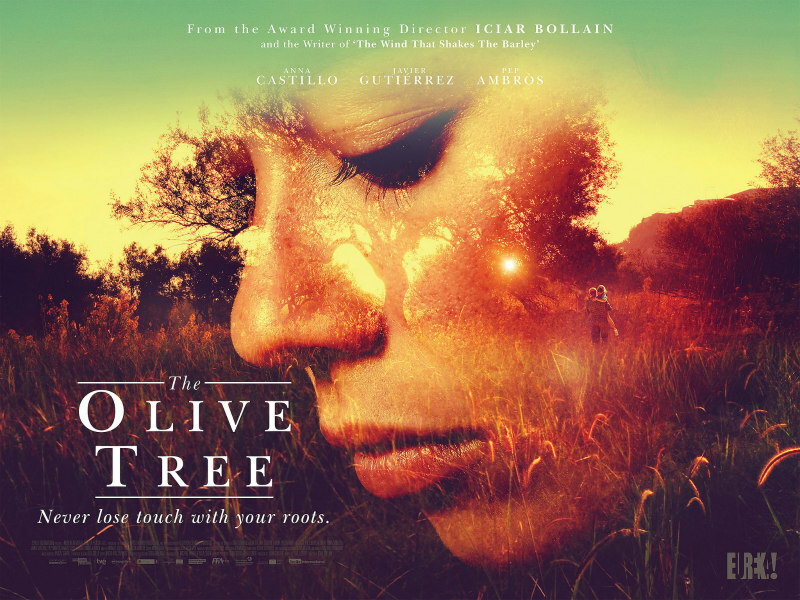 For the most part, The Olive Tree is beguiling, mainly because of the emotive and utterly captivating performance of its star Castillo. At certain points, the narrative stem wavers, and the film doesn’t fully develop the fruits of its environmentally thematic suggestions, but, overall, this is an olive branch worth accepting. The Olive Tree is in UK/ROI cinemas and on Digital HD March 17th.